Here is the first in my new occasional Landlines series, focussing on different ‘lines’ formed in the landscape, as I described in my January 1st post. 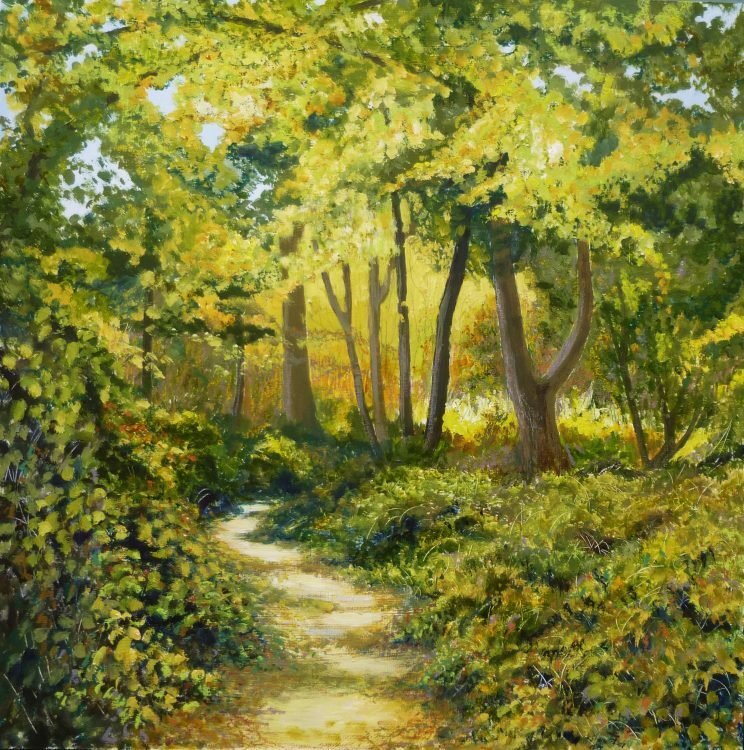 This is Hillhouse Wood at West Bergholt – the same wood which was the subject of my 2016 painting project ‘Twelve Months in an Essex Wood’. There is so much more to paint in this wood than the 12 paintings that I completed then. The landline in this one is the winding path, of course!